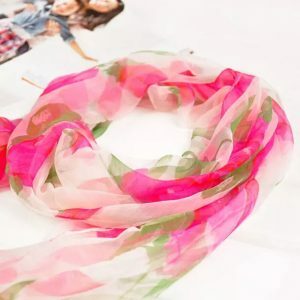 Because of the poor wet elasticity, silk scarves are easy to wrinkle after washing, so it is not suitable to dry them. After washing, gently put the water surface, put it in a cool place, let the water drain, then hang it on a hanger and put it in a cool place to dry. Use a hand to gently straighten it while drying. 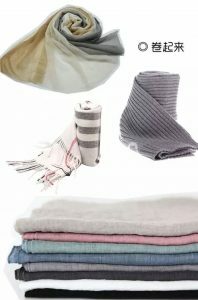 If ironing with an iron, the temperature of the iron should not be too high, and the lining should be placed under the scarf to avoid damage to the fabric. There are many types of silk: twill, satin, double wrinkles, chiffon, jacquard and so on. 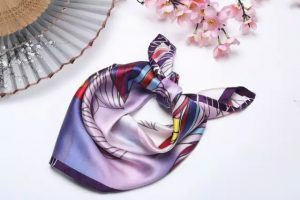 When cleaning silk scarves, please pay attention to: 1. Hand washing is best: put a small amount of neutral detergent in cold water, soak the silk towel in the water for no more than five minutes; gently wash with your hands. Rinse, do not wring it! To hang the shade to keep the smooth and wrinkle-free qualities. Flax is an ancient bast fiber crop and oil crop. Flax fiber has the characteristics of strong pulling force, softness, good fineness, weak electrical conductivity, fast water absorption and water absorption, and large expansion ratio. Precautions for cleaning linen scarves: 1. Soak for 10 minutes before washing. Avoid using detergent containing bleaching ingredients. It is not suitable for strong rubbing on the enamel board. Avoid rubbing with a hard brush to avoid fuzzing. Do not use force to screw when washing, and pour the natural dryness. The scarf is easy to rub in the daily wearing, and then a yarn is drawn. 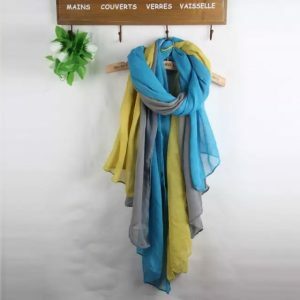 Therefore, it is better not to put the scarf together with the clothes to avoid being damaged by the zipper and the button on the clothes. The scarf can be rolled into a sushi type. A roll of roll into the drawer can also avoid creases when unfolding.